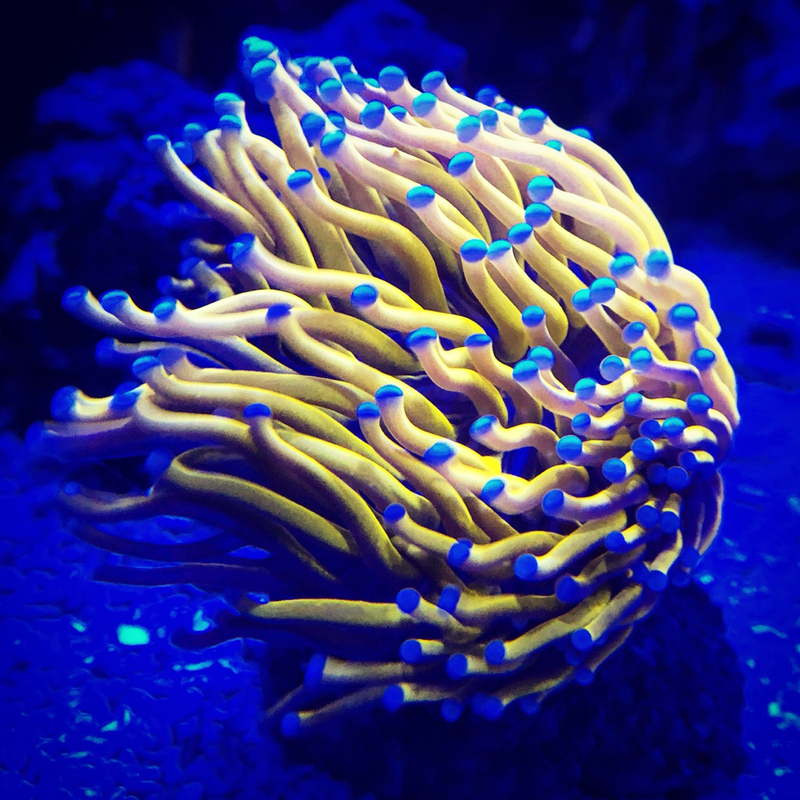 Been snapping a few pics of the reef it’s looking great! In this episode I finally get rid of the ugly ATO bucket that I had been using as an ATO Container. I also have a bad encounter with "The Madre" regarding a little spill while refilling the bucket. Along with her 2 Goons especially "Big Mike" I learn a lesson in flooding floors, baby sharks, and generally find out what torture is like with sound. In this episode I describe the reasons that I started dosing home grown Phyto and the equipment that I use to accomplish this! I'm in the process of setting up a similar size tank and was wondering is there anything you would have done differently now that your 6 months in? I was planning to build a stand and sump but after looking at the Framing Tech stands and the Stealth sump I'm rethinking. I was quoted $3K for a steel/powdercoated stand plus shipping which made me lean tords DIY. Current Tank Info: 210 gal, 300lbs LR, Aquamaxx Skimmer, 3x Reefbreeders LED's & T5's. With Hurricane Florence raging outside I decided to do an update on the 350 should the worst happen. Special Thanks and shout-out to Upscale Aquatics for their assistance and sponsorship. Another special shout out to Brian who built an AWESOME wrap for the Framing Tech stand. Let me know what you guys think or If you have any suggestions! 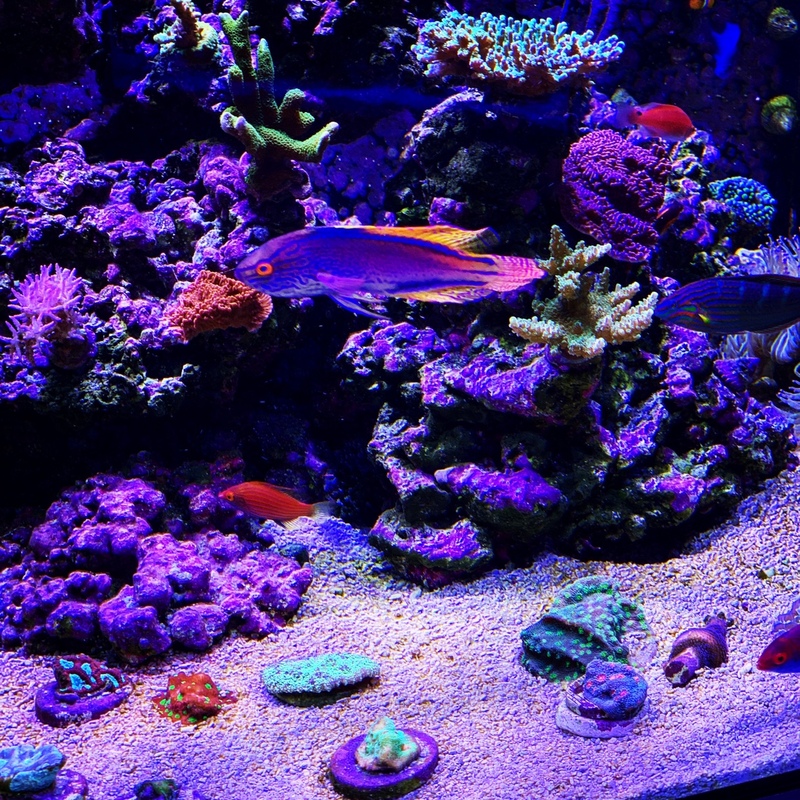 Snapped some pics of the reef tonight. Trying out different settings on the radions. Don’t mind the rescue colonies on the sand bed I got them at a great deal. All are brown and ugly asf. In this episode I go over the very simple and very easy setup of my 60Gallon Softie Tank. This tank will feature all of the cool softies from my main display in a purpose built enclosure. Stay tuned for additional videos of this tank in addition to my 350Gal display. Thanks for watching! In this episode I take a look at one of the pillars of Reef Keeping. 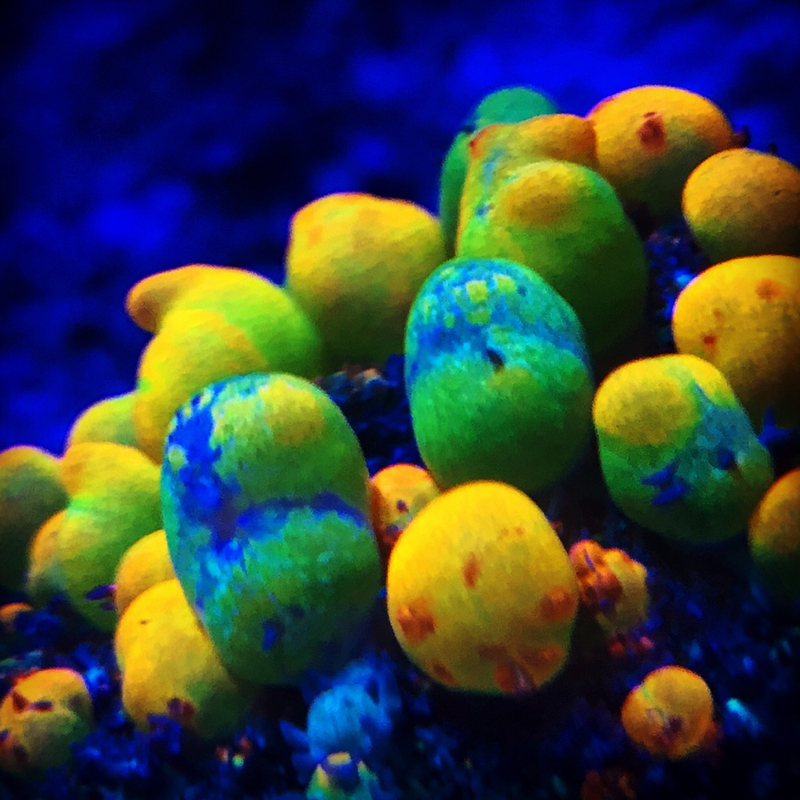 I believe that my success with difficult fish and corals is due in part to the foods that I feed them. Faced with the prospect of spending hundreds of dollars a year in commercial fish foods I decided to make my own using the same stuff that commercial breeders use to keep their fish healthy, and in breeding form. Look out for Part 2 where I I feed the fish and give an update of the tank itself! Thanks for watching and your support. Please let me know below what things you like to add to your fish foods! 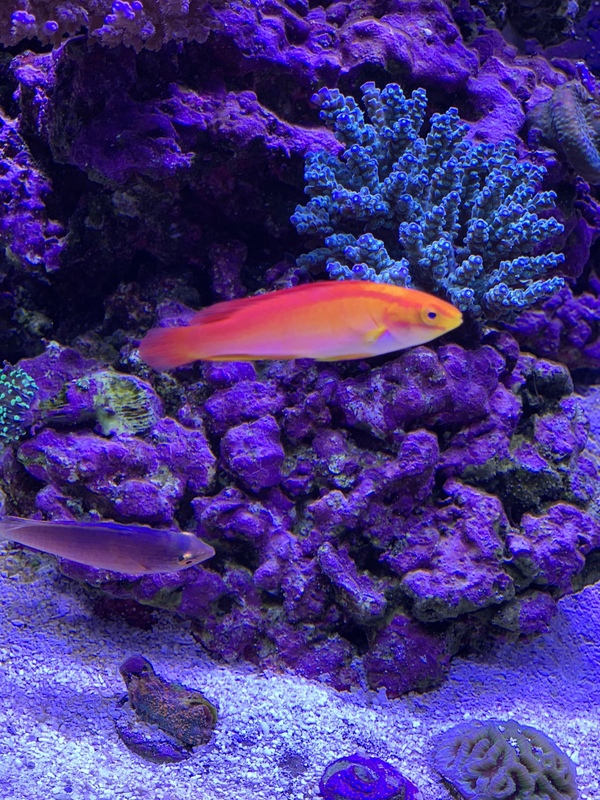 Looking good Tristian, being able to control what goes into your food plus rinsing out contaminants makes for a happier reef! Excellent color and growth, what supplements are you using? What type of salt? And why are you always having floods? As promised everyone here is a close up of what went into making my tank and all of its features! Hey, don’t know if you remember but I bought some LEDs from you about 5 years ago. I’m planning for my “forever” tank now and looking at an 84x30x30. How did you settle on the steel framing tank versus the glass/acrylic hybrid? I always thought glass to acrylic = bad? Anyway, I’d love to hear more about your choice process! Also, I also HATE low headroom under the tank and stopping to look in. Also looking at a 36-40” stand and wondering how you liked yours that height now? Old…75gal/20sump mixed, AI Sol SBx2!, mp40w, Tunze 9006, ca++ reactor, GFO/Carbon. Lol - as for supplements I use the Red Sea suite of supplements exclusively with a bottle of acropower and fuel here and there. I just mix up come concoction and toss it in when I remember. As for why I had floods the floods have gone down significantly. As in I have been flood free since my last beating. This time it was the baby’s fault. He was finessing the push connect on my ato container and he wiggled it loose. So I got some water on the floor. Wife want impressed but I did get a tongue lashing for not monitoring my ankle biters actions. Framing tech isn’t actually aluminum. When I considered my carpentry skills and the equivalent of a few metric tons of water I didn’t trust myself to build a stand I would like. When I sought to subcontract out the job the price of the job was as much if not more than my framing tech stand. I love the height of my tank as it puts it square in my face and gives me ton of working space under. A wood stand built correctly would not have afforded me as much space which I did not like. I would not get a 30” tall tank ever again. Even with my 6ft frame and reach it was just uncomfortable reaching into that tank much less a 30” deep one. To each his own though. The bottom of my tank is PVC. And the entire thing is using a 1 piece acrylic channeled and fused eurobrace. This made the brace stronger and smaller. On top of the Brace is a frame that holds everything together making the tank effectively bullet proof. I love the age tank and honestly if I ever get another display I’ll go with them again in a heart beat. In this episode I go over my reasons for using a Lid on my Aquarium and checkout a new Sponsors take on covering your fish tank. I feel that if you have fish that you care about you should have a lid. Whether it be something you DIY or something you buy. Fish spook easily and I'd hate for someone to loose a Fishy Buddy due to not having a lid. There aren't many options out there but I like this take on the new lid! Safetoplids.com offers amazing acrylic covers for a wide variety of fish tanks. They are offering a special deal for my subscribers if you use coupon code: Tristian's Reef. I’ll definitely check out a quote from them as part of my search! Also silly phone... my framing tech stand is aluminum NOT steel and it came flat packed with all the hardware needed to install. It’s a wonderful stand and will easily outlive the tank imho. It’s also adjustable in its height to make it easy to level. A tank that large I wouldn’t trust on just anything especially not the harsh environment lots of water and moisture give off. Perhaps with a really nice hardwood sealed and painted very well. I’m not knocking wood stands but I’ll say that I’ll never have a “bend over” to see inside tank again. 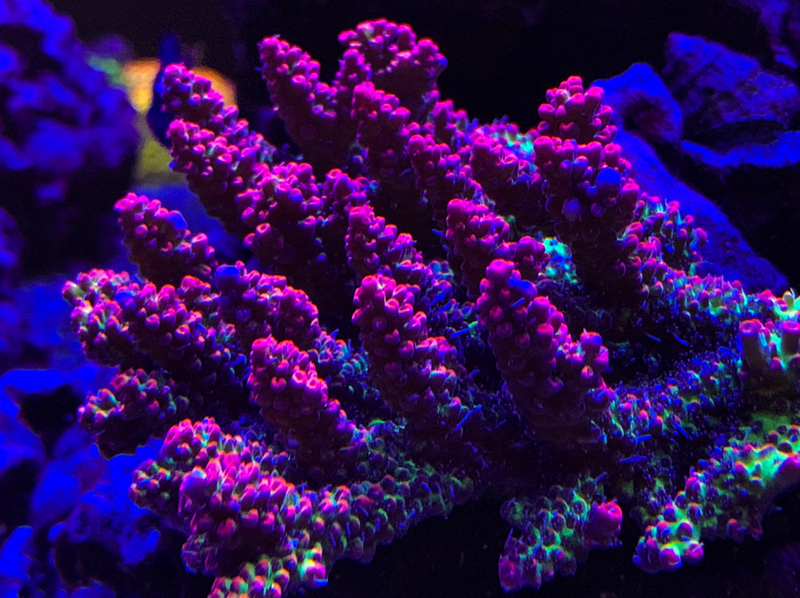 I wanted it eye level and if I have corals on the sand bed for them to be easy viewable with a glance down vs a bend down or squat. My tanks 30 deep and 27 high and no unless I lean over and get wet placing anything on the back wall is a challenge. I absolutely agree about stooping to look in - hate that. I’ll check out that frame set up. Im pretty confident in my woodworking skills but feel like it will be pricy anyway. If it just saves time/money your stand looks great! It will be nice to have a tank I can work under without getting claustrophobic or sticking my face in the skimmer to reach the GFO!